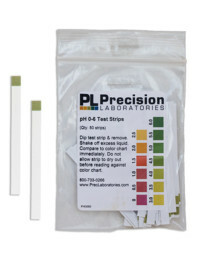 The Active Chlorine test strip tests levels of free chlorine in a solution. The increments are 0, 25, 50, 200, 500, 800, 1500, 2000ppm. The color chart has obvious color changes from blue to brown to orange. 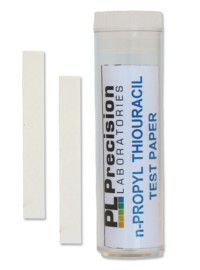 This test strip is very easy to use, and gives results in just seconds. 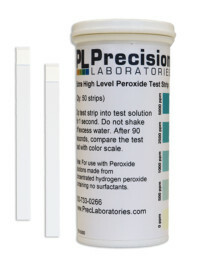 The Active Chlorine test strips can be used in facilities where food preparation areas, equipment, and general disinfection are more strictly controlled. 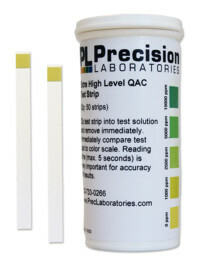 Specifically, this product was developed for use in daycare centers and senior homes, where a disinfection level slightly higher than that available using our High Level Chlorine strip is required. 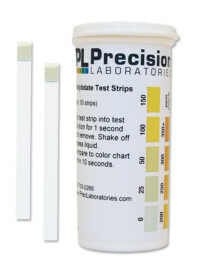 Dip the Active Chlorine test strip into solution for 1 second. 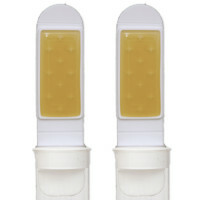 Remove strip and shake off excess water.